A monochromatic color scheme uses shades (created by adding black to a color) and tints (created by adding white) of a single color resulting in a clean and elegant look. 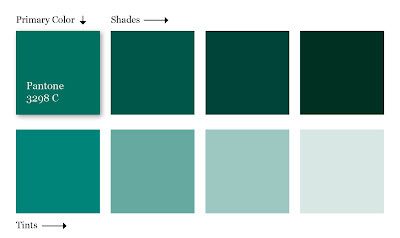 This color palette is soothing to the eyes and works especially well with green or blue hues. It is easy to get right and has a sense of authority to it. The primary color can also be used with neutral colors like black, white or gray. The only downfall to a monochromatic color scheme is that it lacks the contrast of a complementary color scheme and is not as vibrant. But don't be afraid to try this when you're wanting a sophisticated but cost-effective look. Newer PostWhat's the Deal with Google+ ?